Growing at least some of your own food is surprisingly revolutionary. In a time when "food" is slathered in meaningless marketing labels and chock full of sugar, fat, and genetically-modified organisms, growing your own produce and herbs gives you independence from a broken agricultural system. 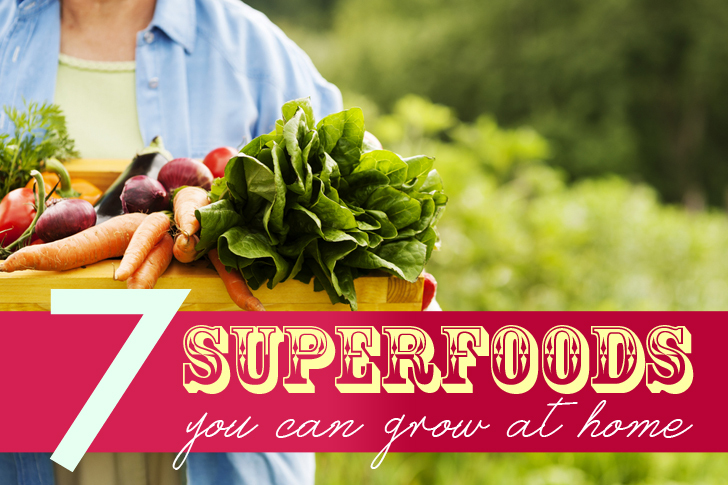 Besides saving you money, and giving you complete quality control, growing your own superfoods can actually make you healthier and better able to ward off disease. A superfood is any food (fruit, vegetable, oil, etc.) with a high concentration of nutrients and anti-oxidants - and there are more than a couple that you can grow in your backyard or a container. Also known as Jerusalem Artichokes or sun roots, this member of the sunflower family produces tubers that look like small, knobbly potatoes. They are crunchier and sweeter than a potato, however, with the slight taste of artichoke. Sunchokes are high in essential minerals potassium, magnesium, and iron, all of which are good for the heart. Sunchokes also contain lots B vitamins which promote health of the skin, eyes, and hair, as well as inulin (not insulin) which acts as a prebiotic in the digestive tract. This hardy cactus is commonly used scratches, minor burns, and other topical skin issues, but few people realize you can eat it for even more health benefits. Aloe vera contains high levels of vitamins A, C, and E as well as rich in antioxidants, which many believe can prevent cancer. When taken internally, aloe vera delivers the same anti-inflammatory effects that we enjoy on the skin. And since it’s an antiviral, antibacterial, and antifungal, your body’s ability to fight those types of illnesses increases significantly. 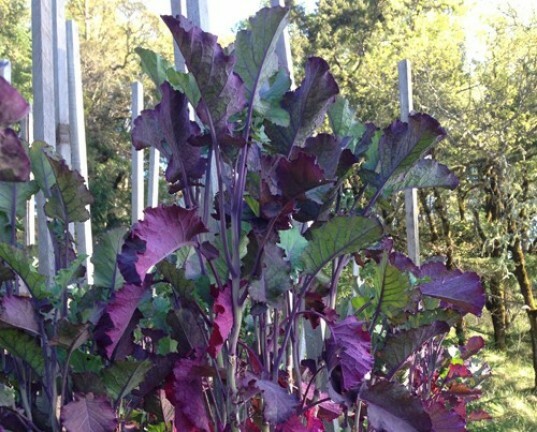 If you like collard greens you’re going to love the tree collard. This member of the collard family is considered to be an evergreen and can reach heights of 8 – 10 feet and have a lifespan of 20 years! Like its diminutive cousin, the tree collard is an excellent source of vitamin K, A, C, folate, manganese and calcium, and contains more protein by weight than beef. Look for them at your local nursery rather than the gardening section. A member of the leek and onion family, garlic is a fragrant seasoning that no kitchen should ever be without. This unassuming white bulb it packed to the gills with vitamins, minerals and antioxidants that your body craves. It’s also a natural antibiotic, antifungal, antimicrobial, is good at detoxifying the body, and improves cardiovascular health. Not to mention it makes pretty much everything taste absolutely amazing. Grow and consume liberally! It’s time to think way, way beyond boiled cabbage and cabbage soup. This gorgeous spherical vegetable contains compounds called indoles and a glucosinolate called sinigrin, both which have been shown to enhance enzyme systems that detoxify cancer-causing substances. Cabbage is also known to reduce cholesterol and provide anti-inflammatory nutrients, and is high in vitamin B for energy and vitamin C for glowing skin. There’s a reason Popeye loved this leafy green so much. First of all, spinach is loaded with vitamins A, K (good for bones! ), D, and E and a host of trace minerals. It’s also a good source of omega 3 fatty acids (good news for people who don’t like fish) as well as cancer fighting antioxidants. The carotenoids found in spinach also help to protect your eyes against diseases such as cataracts and macular degeneration. We’re all used to the bright orange carrots found in the grocery store, but did you know that there are 99 other types of carrots, all packed with good-for-you nutrients? 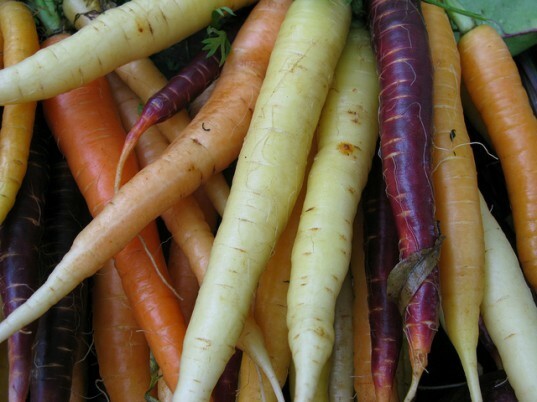 Carrots come in purple, red, white, and yellow varieties, each brimming with β-carotene, a carotenoid that’s been studied extensively for it’s ability to fight both aging and cancer. And unlike many of the superfoods we’ve covered in this list, carrots are actually better for you when cooked. The American Chemical Society found that carrots that were cooked (with the skin) and then pureed had as much as three times the amount of antioxidants as their raw counterparts. 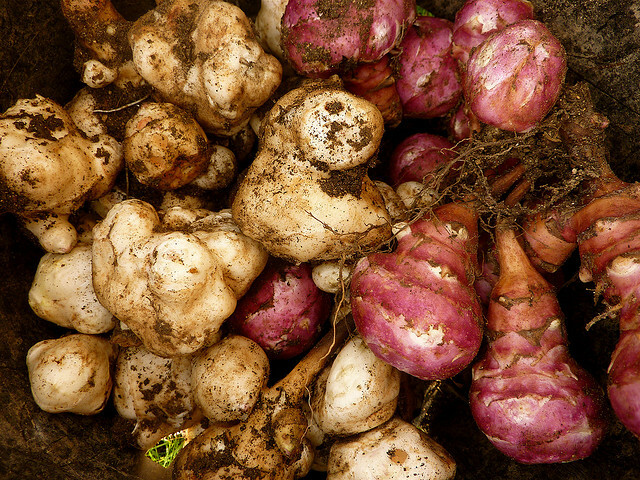 Sunchokes Also known as Jerusalem Artichokes or sun roots, this member of the sunflower family produces tubers that look like small, knobbly potatoes. They are crunchier and sweeter than a potato, however, with the slight taste of artichoke. Sunchokes are high in essential minerals potassium, magnesium, and iron, all of which are good for the heart. Sunchokes also contain lots B vitamins which promote health of the skin, eyes, and hair, as well as inulin (not insulin) which acts as a prebiotic in the digestive tract. 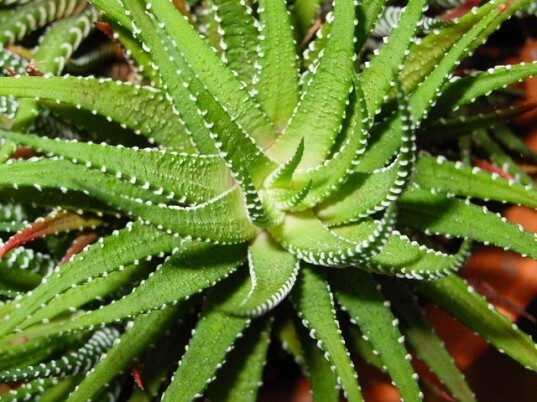 Aloe Vera This hardy cactus is commonly used scratches, minor burns, and other topical skin issues, but few people realize you can eat it for even more health benefits. Aloe vera contains high levels of vitamins A, C, and E as well as rich in antioxidants, which many believe can prevent cancer. When taken internally, aloe vera delivers the same anti-inflammatory effects that we enjoy on the skin. And since it’s an antiviral, antibacterial, and antifungal, your body’s ability to fight those types of illnesses increases significantly. Tree Collard If you like collard greens you're going to love the tree collard. This member of the collard family is considered to be an evergreen and can reach heights of 8 - 10 feet and have a lifespan of 20 years! Like its diminutive cousin, the tree collard is an excellent source of vitamin K, A, C, folate, manganese and calcium, and contains more protein by weight than beef. Look for them at your local nursery rather than the gardening section. 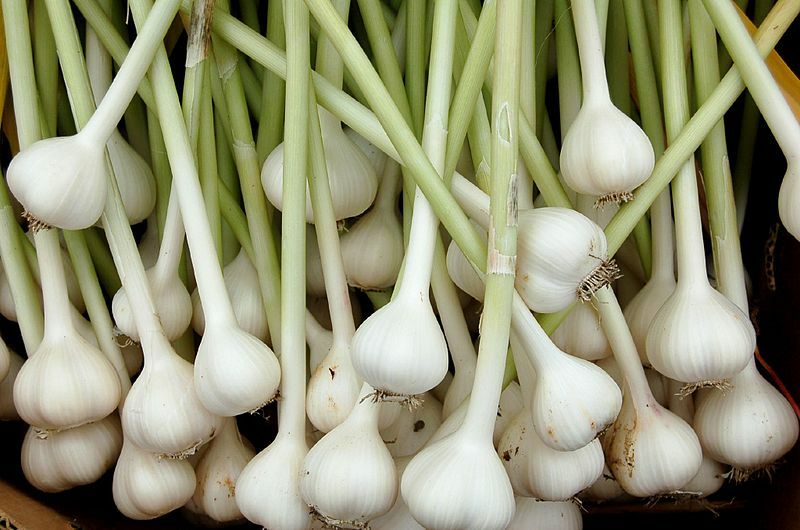 Garlic A member of the leek and onion family, garlic is a fragrant seasoning that no kitchen should ever be without. This unassuming white bulb it packed to the gills with vitamins, minerals and antioxidants that your body craves. It's also a natural antibiotic, antifungal, antimicrobial, is good at detoxifying the body, and improves cardiovascular health. Not to mention it makes pretty much everything taste absolutely amazing. Grow and consume liberally! 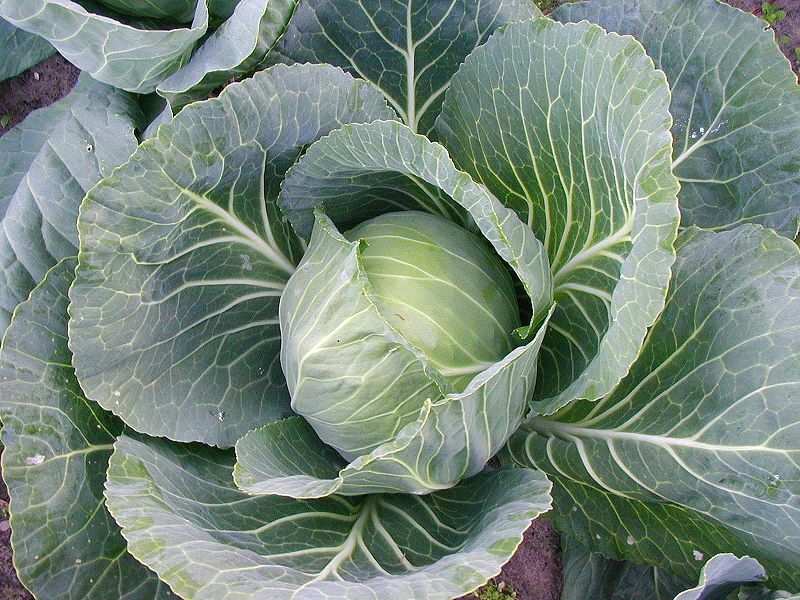 Cabbage It's time to think way, way beyond boiled cabbage and cabbage soup. This gorgeous spherical vegetable contains compounds called indoles and a glucosinolate called sinigrin, both which have been shown to enhance enzyme systems that detoxify cancer-causing substances. Cabbage is also known to reduce cholesterol and provide anti-inflammatory nutrients, and is high in vitamin B for energy and vitamin C for glowing skin. Spinach There's a reason Popeye loved this leafy green so much. 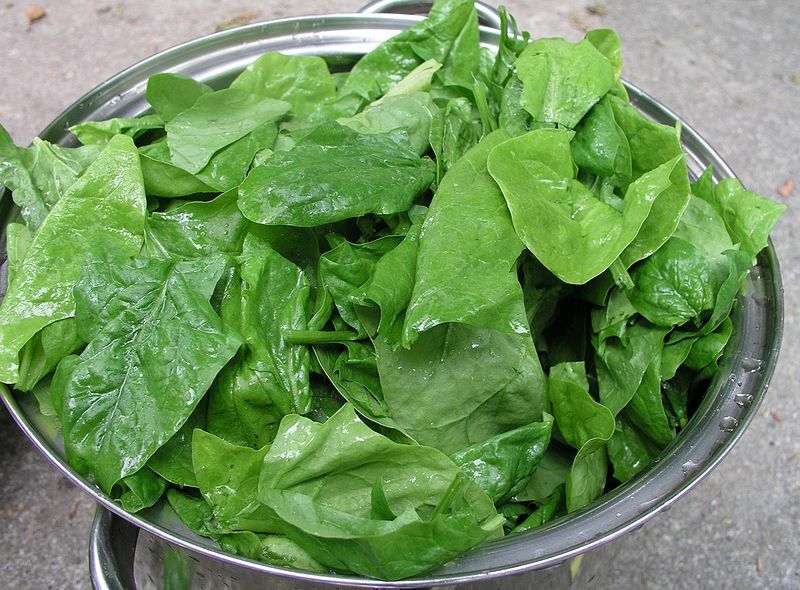 First of all, spinach is loaded with vitamins A, K (good for bones! ), D, and E and a host of trace minerals. It's also a good source of omega 3 fatty acids (good news for people who don't like fish) as well as cancer fighting antioxidants. The carotenoids found in spinach also help to protect your eyes against diseases such as cataracts and macular degeneration. Carrots We're all used to the bright orange carrots found in the grocery store, but did you know that there are 99 other types of carrots, all packed with good-for-you nutrients? Carrots come in purple, red, white, and yellow varieties, each brimming with β-carotene, a carotenoid that's been studied extensively for it's ability to fight both aging and cancer. And unlike many of the superfoods we've covered in this list, carrots are actually better for you when cooked. The American Chemical Society found that carrots that were cooked (with the skin) and then pureed had as much as three times the amount of antioxidants as their raw counterparts.